Looking for a last minute stocking stuffer? 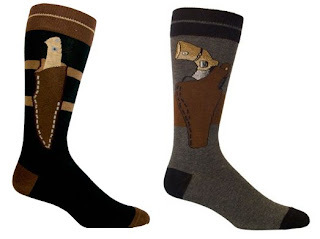 Check out these hilarious and well made socks from OZONE. Is this not a great sock to wear on the streets of New Yawk or what? I feel safer already! yes. pretty amazing socks from ozone. I know! I have the pair with the gun. looks like a regular pair of socks until your pant leg lifts up. Fun. I like them, thats hot.